WILD MOTION: DADDY, WHAT'S A GRAVITY BIKE? 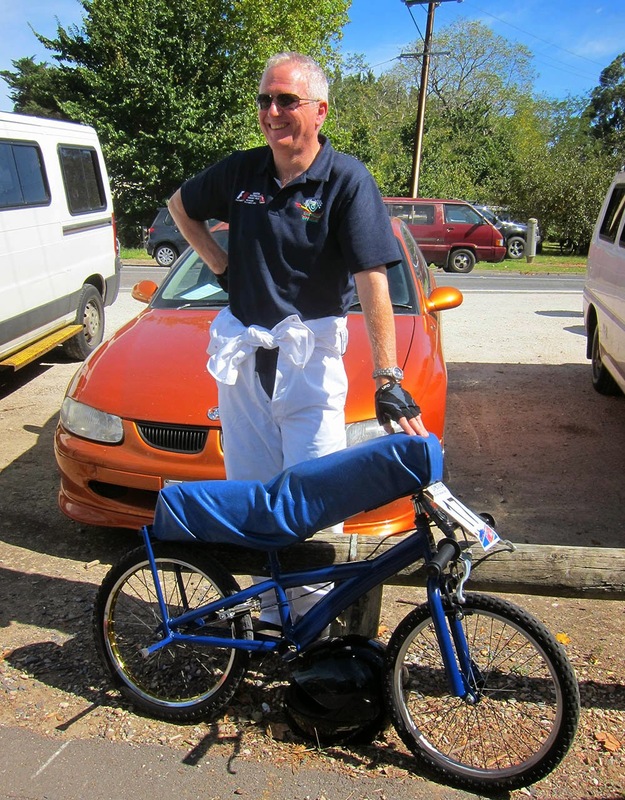 Gravity bikes are two-wheeled machines that require gravity to move. They most commonly have no drivetrain and are executed to various levels of engineering and finish according to the commitment of the racer. Various interpretations of aerodynamic efficiency are applied and, whilst the aim of the machine is to go as fast as possible, brakes are an important control element for negotiating turns at high speed and the eventual stopping of the machine. Personal protective equipment is also important to consider, though, once again, generally invested in according to the commitment of the rider. 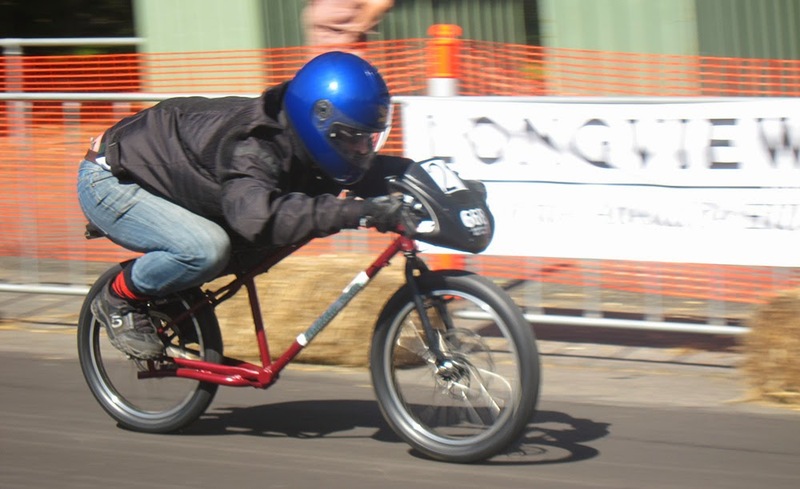 Racers compete against one another on steep hills, often in similarly gravity assisted events such as billy cart competitions. 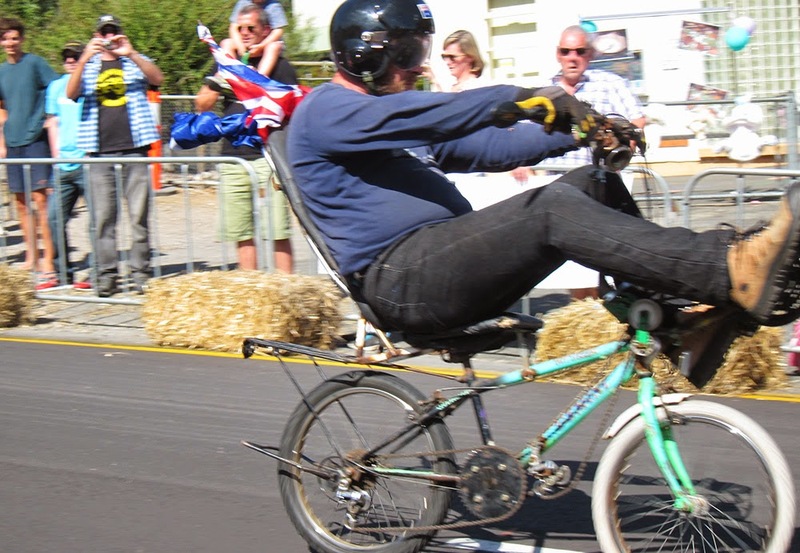 The Macclesfield Gravity Festival, held each year in March, is one such event where both carts and bikes use the same course over a series of rounds to determine a winner. 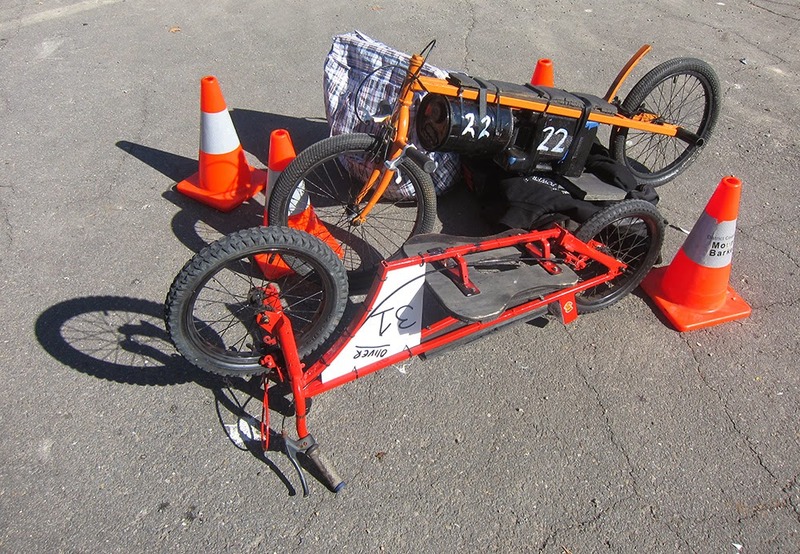 Here are some pics from this year's Gravfest that illustrate the wonderful spectrum of gravity bike creation, DIY and interpretation of things such as control and safety. 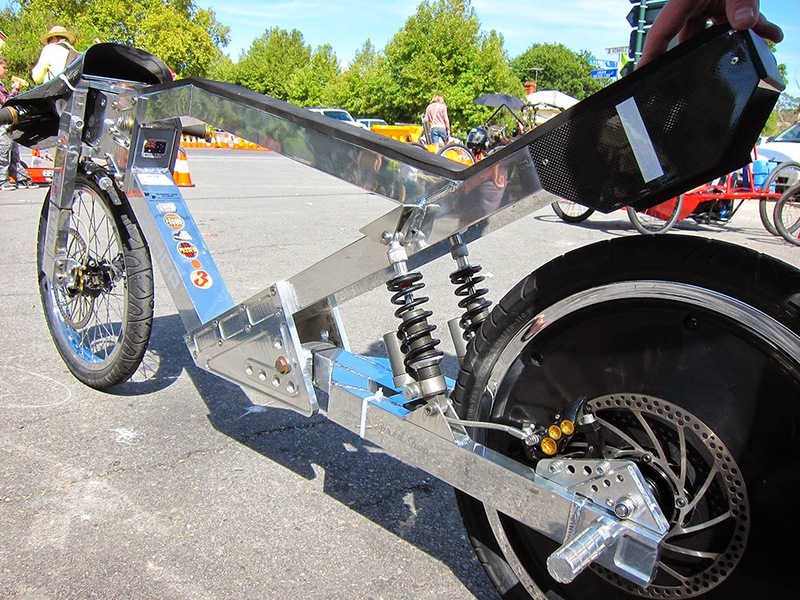 This is your typical entry level approach to creating a G-bike. 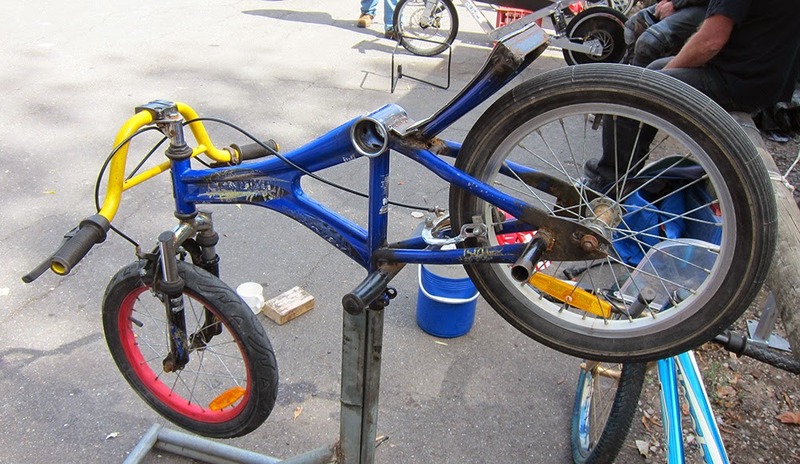 Simply flip your favourite BMX frame, attach a seat pan type arrangement of some kind and run your bars upside down to achieve the tuck position. The variations below include some interesting ballast attachments. The safety cones are actually in place to create an invisible gravity field so that the bikes don't spontaneously roll away. This gentleman demonstrates how to add swagger to your set up. 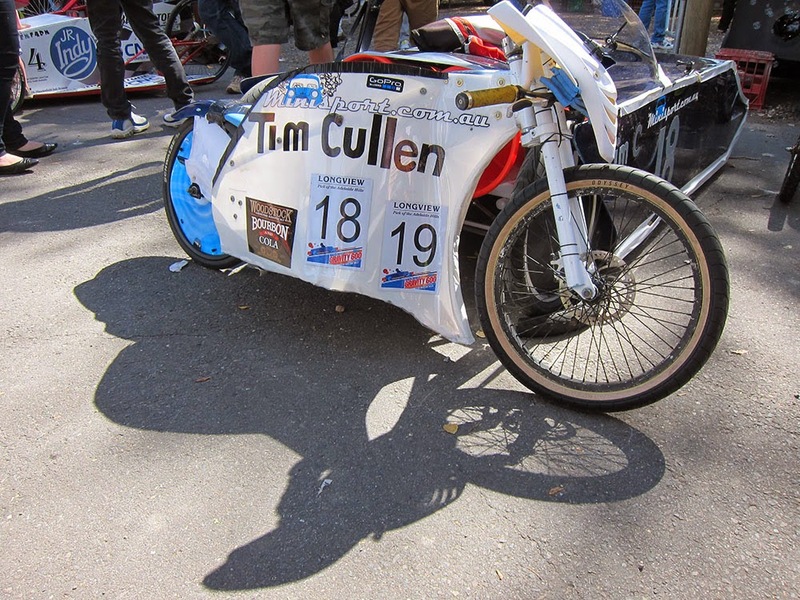 Tim Cullen, of Macclesfield Aersospace Engineering, showed off his Moto GP inspired approach. Of course, things get most interesting when these beasts are set in motion. 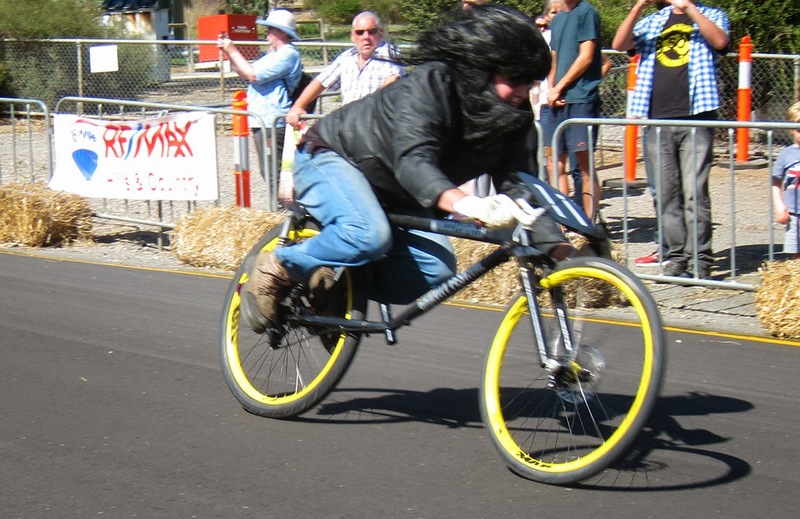 This racer had grown his facial hair into a combination helmet and 'gravity catcher'. It seemed to work. This particular man chose a somewhat unconventional position. The overall effect became something like an Australian Air Force koala being shot out of a cannon on a roll of fencing wire. And then we have the serious end of town. You would be right in assuming that this is the fastest machine of the group. Meet Mr. Brett Phillips, current national and past world champion. Brett wears special sneakers that allow him to walk like a normal person when combined with his Uncanny X-Men approach to gravity. 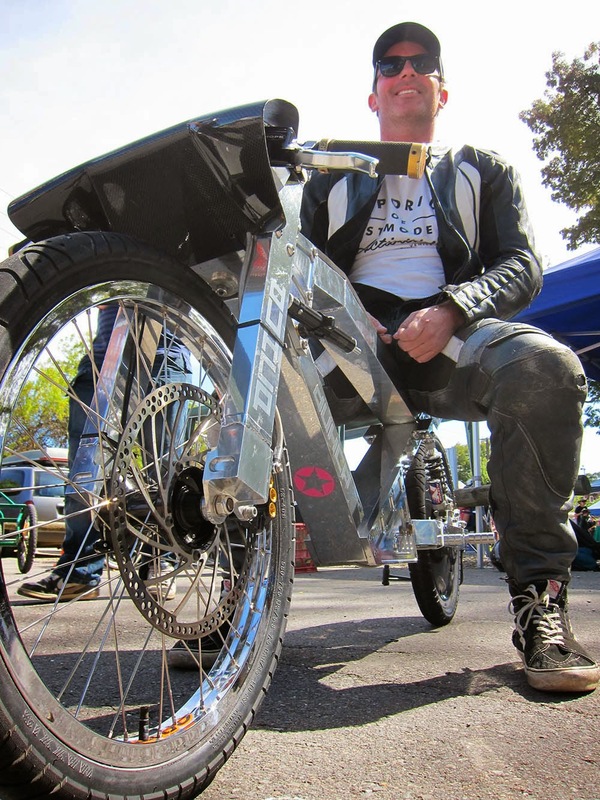 Brett also runs a great website called GRAVITY BIKE HQ which covers all things G-bike in Australia and beyond. It's got great coverage of gravity events, people and ideas. If you want more gravity - go there! The SCUD - Gravity Bike from James Dodd on Vimeo. A great help to guide the newbies and inspire the oldies. The gravity solstice has been predicted for the last weekend in March 2015 so Macclesfield Gravity Festival is on.